When questions arise about your cancer treatment, you must often write them down to remember to ask them at your next appointment. This page will help you remember not only the questions but the answers as well. 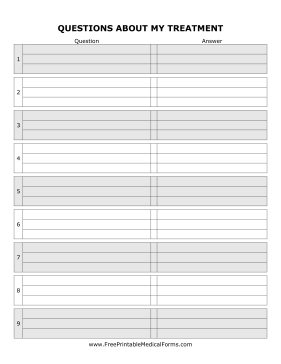 This page can stand alone or may be used as part of our cancer planner collection.